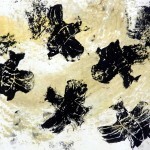 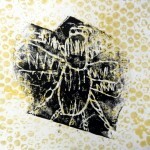 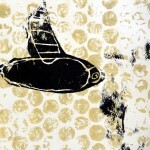 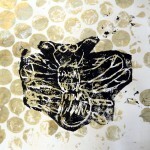 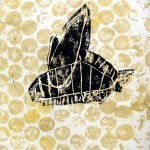 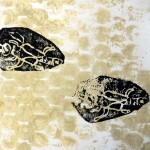 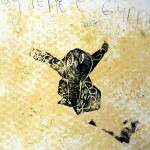 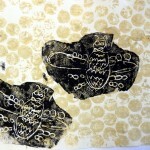 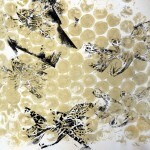 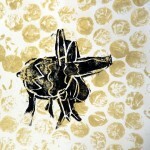 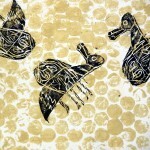 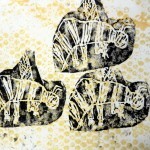 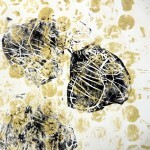 First graders learned how science and art overlap while creating these interesting bee prints. 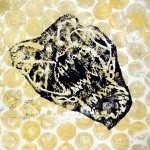 Before the days of cameras, scientists and artists would draw the object they were studying with incredible detail, paying close attention to scale and placement of objects. 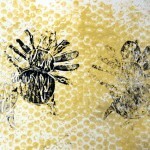 Artists who made scientific drawings were striving to be accurate instead of artistic, and that’s what students tried to do, too, while drawing their bees. 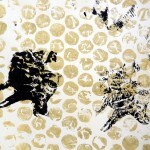 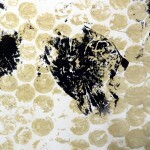 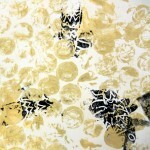 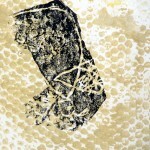 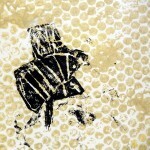 The hive background was made with an unusual art material: bubble wrap. 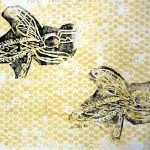 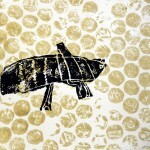 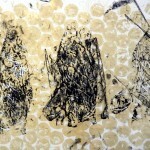 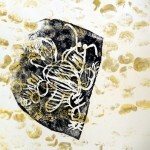 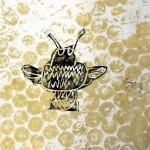 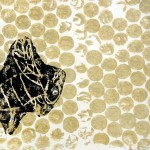 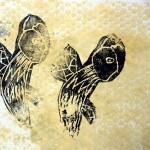 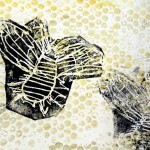 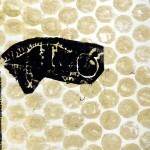 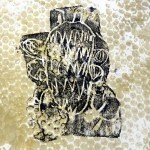 After that was dry, students cut out their etched bee, and printed it on top of their honeycomb.